Potential layout of future Recompose facility in Seattle. What happens after death is changing. Not what happens to “the soul” or consciousness, but to our bodies. Forget embalming. Never mind cremation. Washington may soon be the first place in the U.S. where family members can compost loved ones. The deceased become dirt, first placed in a bed of wood chips, alfalfa, and straw, then joining other vessels in a “hive” of stacked hexagonal capsules for four weeks. So why, then, aren’t any of our dearly departed currently disintegrating into fecund organic matter? Composting human bodies is illegal in Washington. A bill before the state senate this legislative session could change that—and our entire post-death landscape. Neither embalm-and-bury nor cremation (all that fossil fuel!) is particularly environmentally friendly. “Cremation is not the green option we all sort of think of it as,” Spade says, estimating that 95 percent of Seattle residents choose it as a preference. And embalming? The practice was popularized when nineteenth century soldiers were preserved to be slowly shipped back home after death. The greenest option right now is natural burial, says Spade, “how we did things before the Civil War”—aka placing the unembalmed corpse a few feet underground. But these days a simple earthen grave takes up more real estate than is practical. That prompted her to give new life to the old technique of composting. With the help of Washington State University soil scientist Dr. Lynne Carpenter-Boggs and a six-person human trial last summer, Spade developed a version that totally breaks down a body in about a month, leaving only rich, fluffy soil. (Family members can take the whole thing—more than a cubic yard of dirt—or a symbolic small box of it, and scatter it like cremated remains.) The kicker: Recompose estimates it saves a metric ton of carbon emissions compared to either cremation or burial. State Senate Bill 5001 proposes to sanction recomposition—“contained, accelerated conversion of human remains to soil”—alongside cremation. It would also legalize alkaline hydrolysis, a process similar to cremation but done with fluids, already legal in a handful of other states. State senator Jamie Pedersen, who introduced the bill, notes that an unconventional, green burial method is perfect here, in a state that loves environmentalism and isn’t very religiously affiliated. He calls more post-death options “a social and economic justice issue,” too. With a four-figure price tag, recomposition won’t be quite as cheap as cremation (which can cost less than $1,000). But it will be less than most embalmed burials, which sometimes top $50,000. Reinventing the afterlife is the Washington way. The state has the highest cremation rate in the country—78.2 percent as measured by the Cremation Association of North America—and was the first place the technique caught on when Seattle’s deathy co-op, the People’s Memorial Association, popularized it back in the 1940s. Who’d argue with these new methods? The church, for one. The Washington State Catholic Conference opposes alkaline hydrolysis, and spoke out against an earlier bill in 2017. 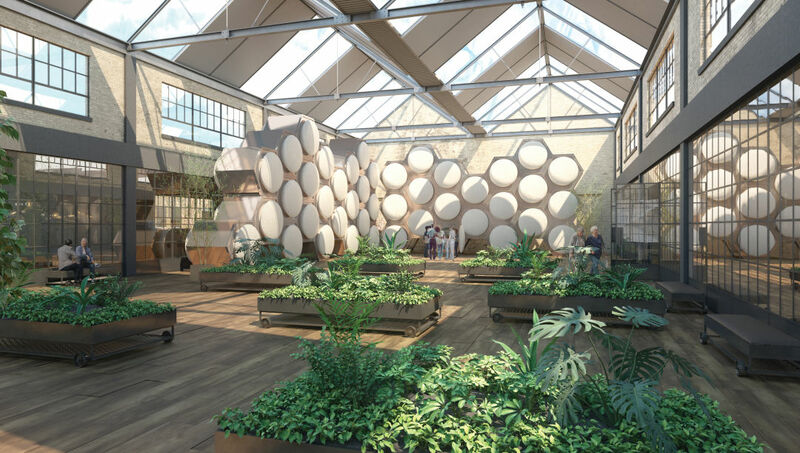 If the law changes, Spade wants to build a warehouse space for Recompose in Seattle with that hive of recomposition vessels lining the walls. The architect in her sees a public space where death is openly discussed and not so scary.